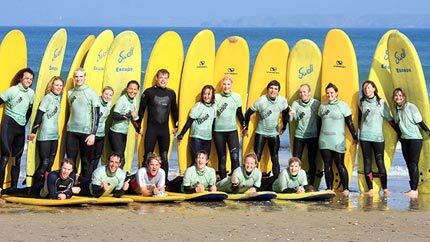 Our facilities at the Escape Surf School mean that we can cater for a group size of up to 40 people in 1 session (and we can potentially run 3 sessions a day) so whether it’s a school group, stag group or a family reunion we can cater for you! We have separate heated mens and womens changing rooms, so no embarrassing wetsuit changing moments in front of your colleagues or peers! Belushis, the bar and restaurant next door, is ideal for a post surf beverage. There are private function rooms which you can hire, and there even the option of booking a group BBQ on the private balcony overlooking the ocean. Stag Groups - look no further! The Escape Surf School can provide surf lessons for your party, as well as arrange other activities, accommodation and a post surf BBQ overlooking the ocean. 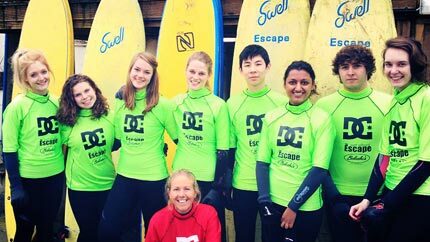 If you are looking for an activity for your adrenalin hungry school groups, then a group surf lesson or even a surfing week with the Escape Surf School is a great activity to keep your students entertained! 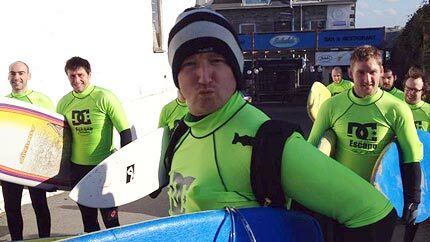 Our Surf & Stay deal is ideal for Surf Clubs: from only £60pp with expert tuition, equipment and 2 nights accommodation thrown in, its a no brainer for group. And we teach all levels, so even the experts can learn something new! Hens! 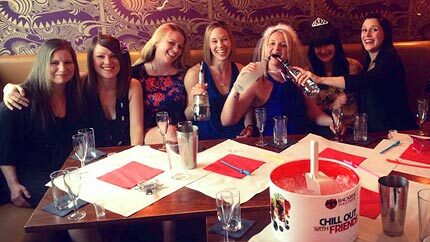 Fancy an action packed Hen Weekend? 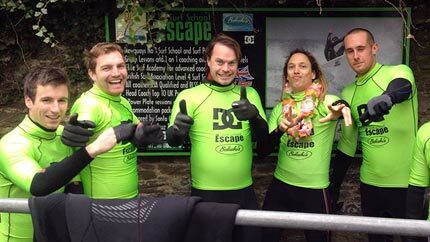 At the Escape Surf School, we can provide you the best afternoon activity, with a free bottle of fizz thrown in, as well as arrange other activities. Watch out, here come the girls!! Kids love surfing, but so do adults too! 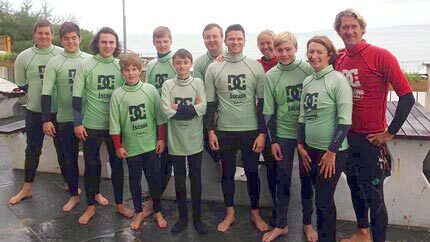 Why not book a private surf lesson for your family group with one of our professional coaches, so mum and dad can show the kids how its done! What better way to unwind after a hard week in the offce, than an action packed surfing lesson for your and your colleagues. Have a laugh with the team, then unwind with an apres surf drink in our ocean view bar.